You don’t say no to an opportunity to help the United Nations World Food Programme make the world a better place. So when we at AJ&Smart were asked to do just that, we of course said yes. 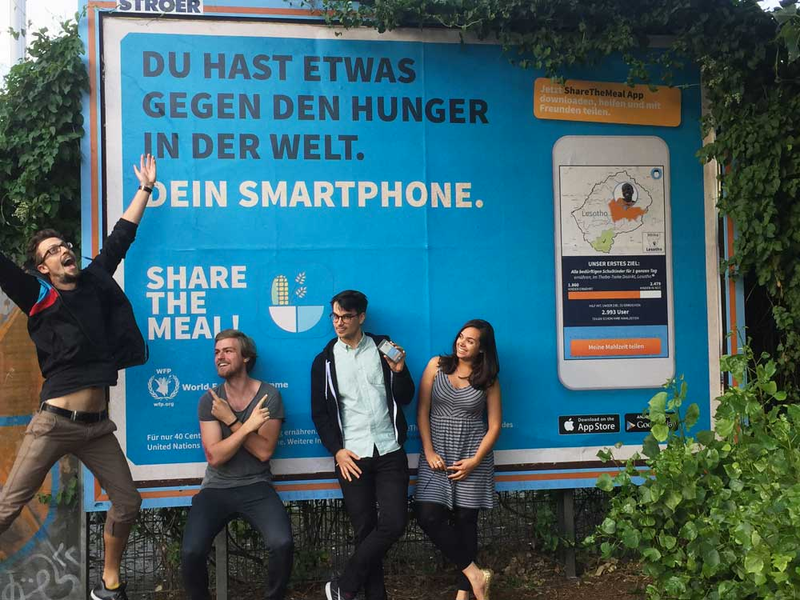 Sebastian Stricker, founder of ShareTheMeal, had an ambitious plan: end world hunger faster using disruptive technologies. He wanted to create a simple, transparent solution that would reduce the friction and “hidden fees” of donating to charities while reducing the complications normally associated with donating to charities. 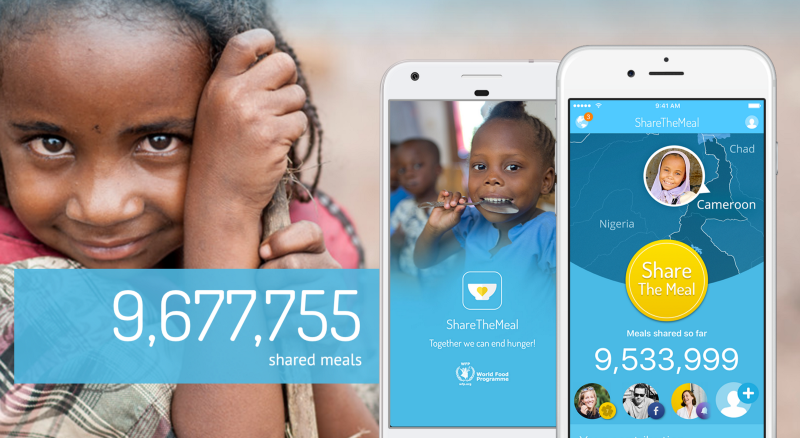 ShareTheMeal is one of the most amazing projects we’ve ever worked on. 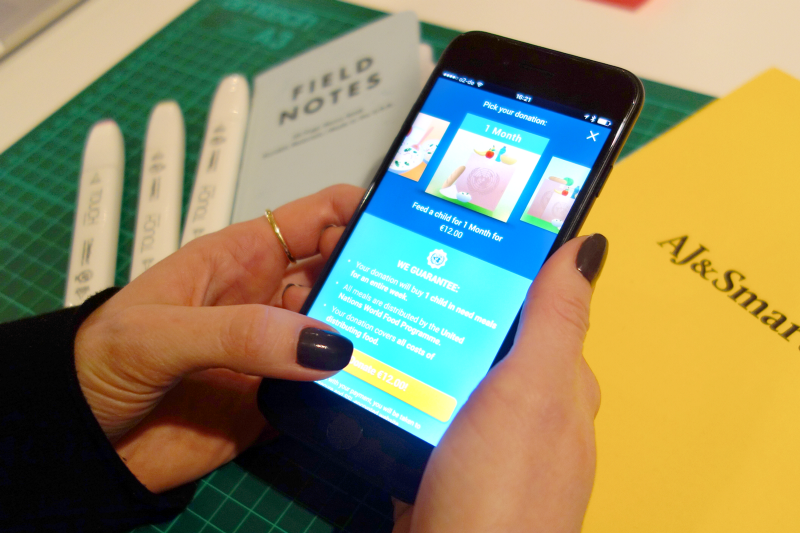 We used design sprints to bring the app to market as fast as possible, then to solve very specific challenges we faced once the app exploded in popularity. The app went on to win Google and Apple’s best apps of 2015 as well as gold at SXSW 2016 and the Webby Awards in 2016. Over the last year, it has helped feed millions of people in need and collected almost 10 million donations. 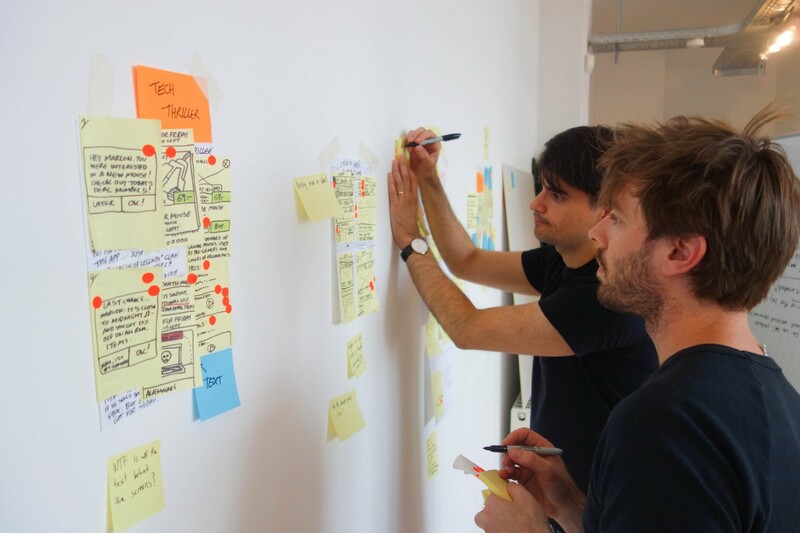 Once the app was up and running, we tried to run a full design sprint every 3 months to keep the momentum strong and to tackle major challenges. One of those challenges was increasing donations overall to the UN World Food Programme. Though the app was more successful than we could have expected, there were still some issues to solve. 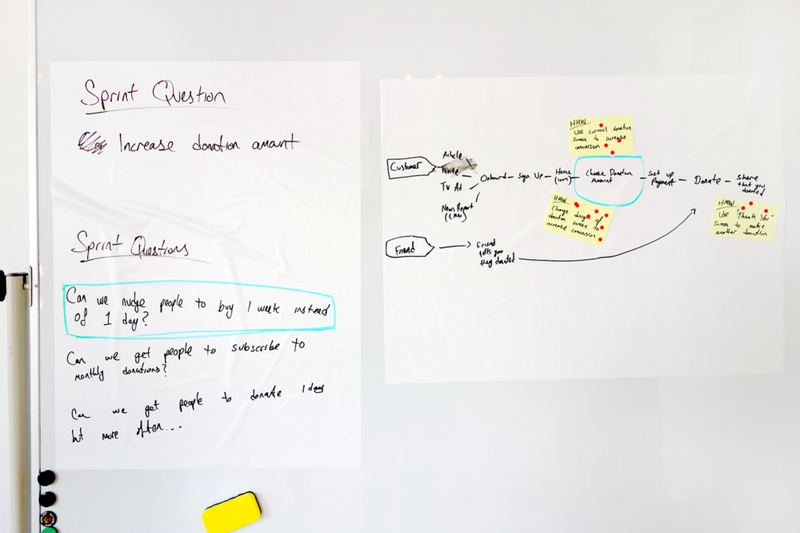 I’d like to talk about how we used a sprint to come up with solutions to increase the average amount per donation, to feed even more people in need. Our sprint goal, sprint questions, and our targeted map. Our sprint team consisted of ShareTheMeal’s CEO (Sebastian), CTO (Matthias), and Head of Marketing (Max), as well as 4 of us from AJ&Smart. In this case, the decider was the CEO—he helped us get unstuck if a difficult business decision ever popped up. Sebastian and Matthias during the sprint. 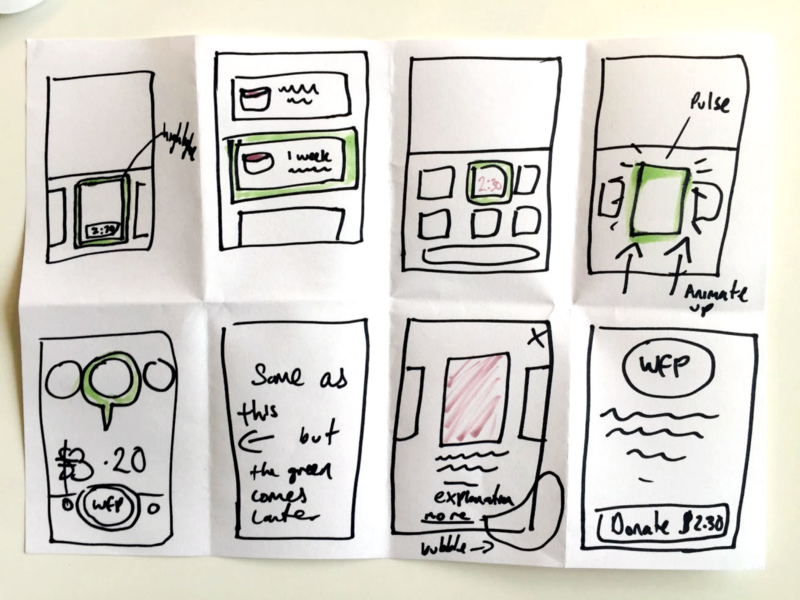 Rather than starting with a blank page, we used 4-part sketching as described in the sprint book to slowly ramp the team into coming up with some detailed solutions. Because we focused on the donation screen, each of us came up with dozens completely different solutions. 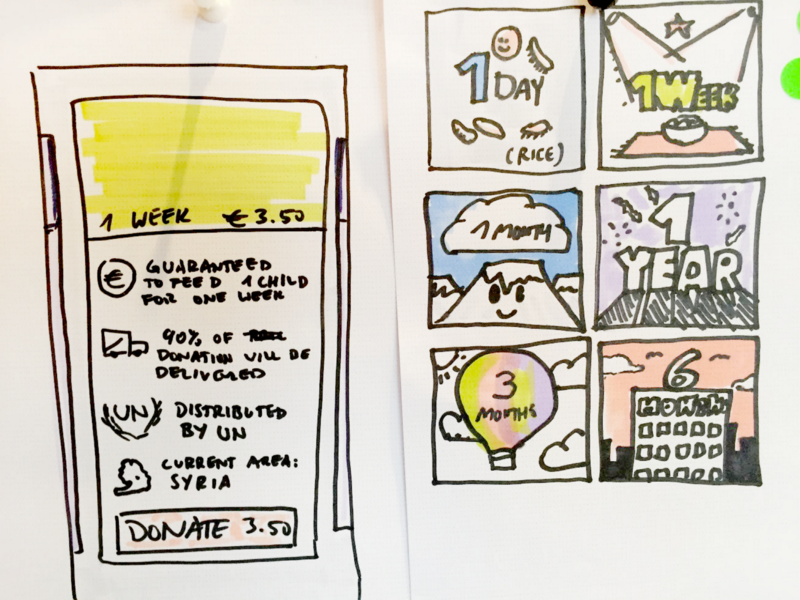 One of our “Crazy Eights” showing multiple options for a donation screen. An example of some doodles. Final concepts being voted on before deciding what to prototype. 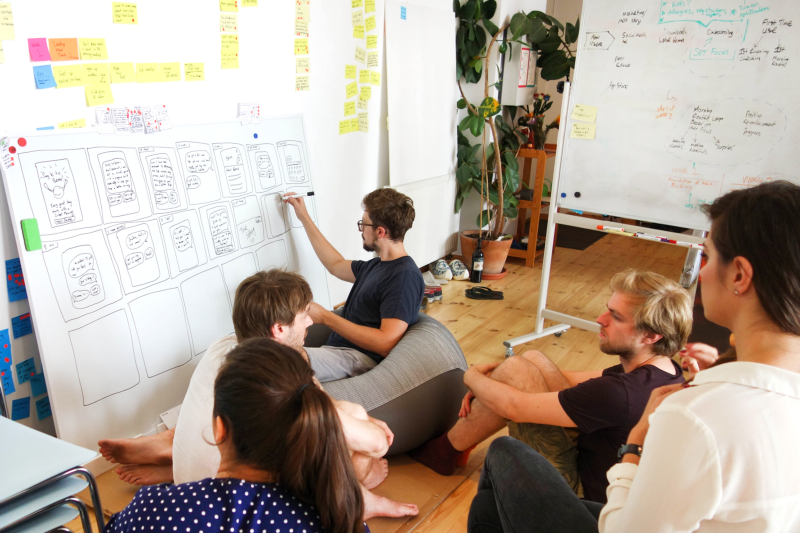 For us, the storyboard is one of the most challenging and rewarding exercises in the entire sprint process. 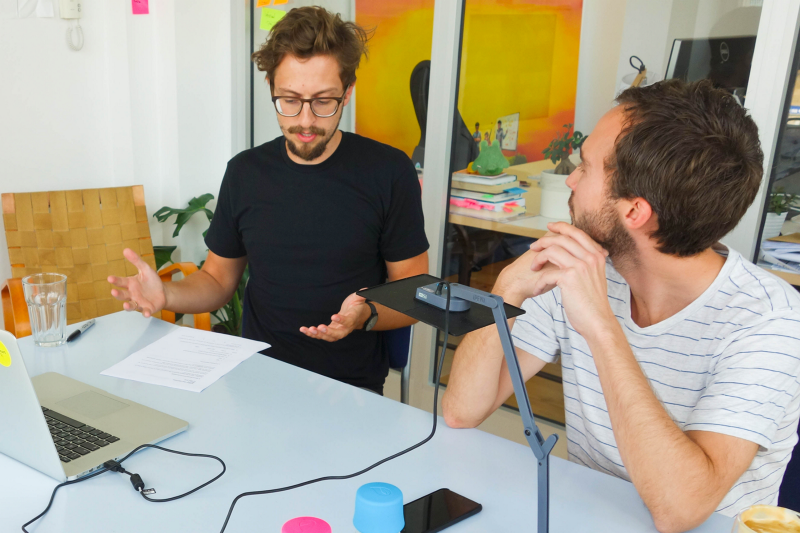 Storyboards align the entire team on exactly what they’ll test , and they also allow those taking over the UI design and prototyping to have an extremely detailed instruction to follow. We’re currently working on ways to speed up and optimize this part of the process so it doesn’t feel so chaotic. 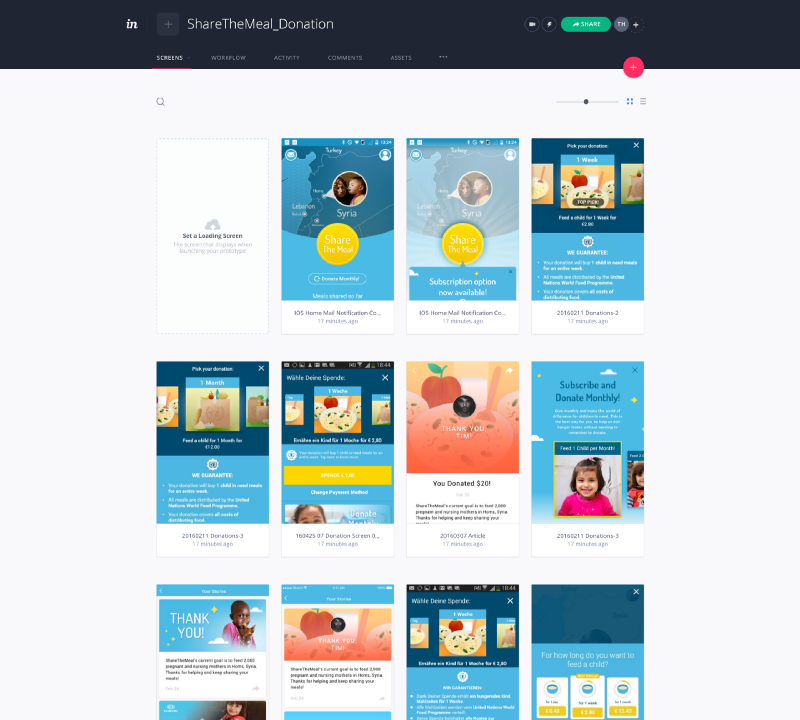 We used InVision to create 2 relatively basic variants of the donation experience. In this case, InVision is more than enough for quickly building a hi-fi prototype. Within 1 day we were able to go from sketches to something that looked and felt real. By the fourth user test, we already had a clear winner between the 2 variants. Plus, we were pretty sure that this prototype was something that—if implemented—had a good chance of increasing the donations per person by changing the focus of the donations. New problems arose from the tests, though—users still weren’t completely sure exactly how the donation process worked. How much of their money would really make it to the regions shown in the app? How exactly did the logistics work? During the tests we made a few tweaks to the copy and found that we were able to find a direction that people understood much better than before. We fixed something we didn’t really even know was a problem yet. If we hadn’t done a sprint, finding out about this might have taken precious weeks if not months. But we were able to fix it right away. Testing the new donation screen at our office. 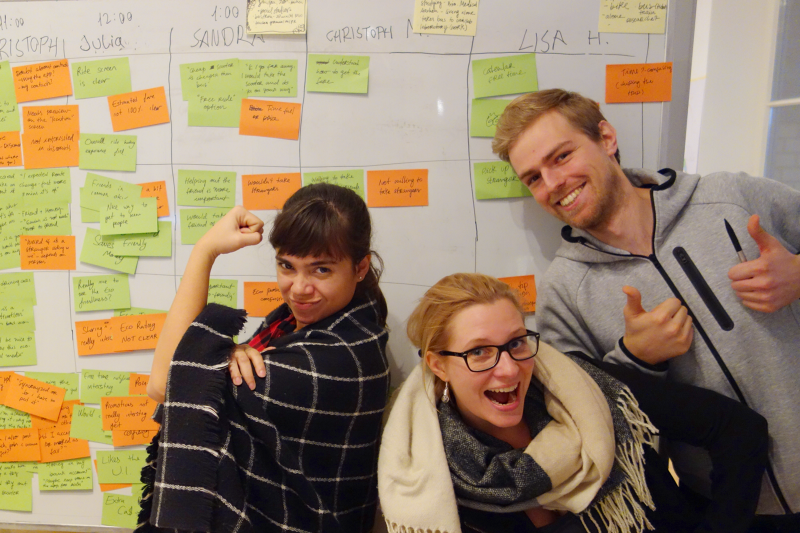 The user testing notes helped us decide on next steps. Within a week we were able to go from a list of problems, to a bunch of solutions, to something tangible and testable. In the case of the donation screen we were definitely on the right path—the updated process was implemented to a small group of users within the month, validating that it increased the donation amount per person. It’s always good to see a giant billboard of an app you’re working hard on! Sprints help teams solve big problems in an extremely focused and systematic way. 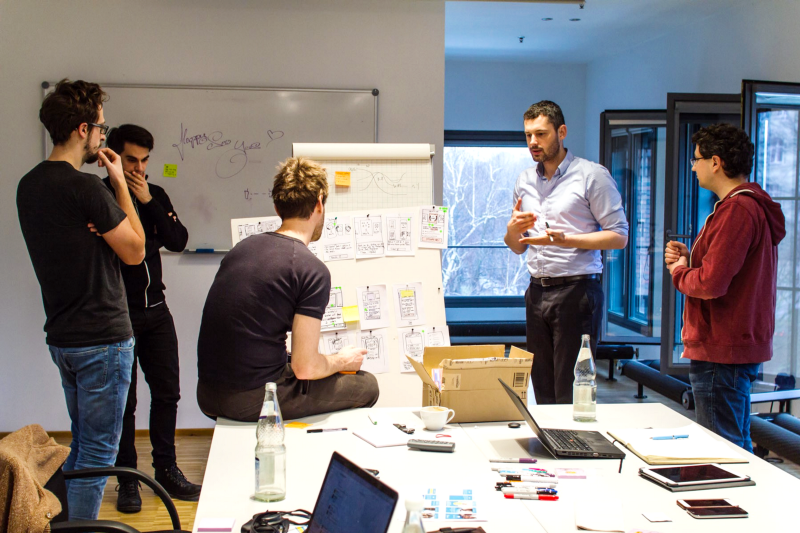 Though we didn’t run sprints with ShareTheMeal’a team every week (this would wear us all out), we did bring some of the principles of the design sprint process into the overall project, like the idea of discussing problems and solutions in very systematic ways and time boxing everything. We’ve been running the GV blend of design sprints for a year now with our clients, and though it’s not the answer to all product design problems, it’s certainly very close.